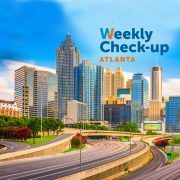 This week, Dr. Walter Falconer joins guest-host Dr. Scott Miller live on location at Georgia Urology‘s free prostate cancer screening — held Sunday, 9/11 at 2339 Lawrenceville Highway in Decatur. Walter Falconer, M.D. is a partner of Georgia Urology. He is a diplomate of the American Board of Urology and a fellow of the American College of Surgeons. A native of Atlanta, Dr. Falconer received his undergraduate degree from Morehouse College and his medical degree from the University of Pittsburgh School of Medicine. He completed his general surgery and urology residency at Emory University and affiliated hospitals. Dr. Falconer practiced for 12 years with Atlanta Urological Consultants, P.C. prior to merging his practice with Georgia Urology in 2003. He serves on several hospital committees and is presently the chief of surgery at Dekalb Medical Center at Hillandale and the chief of urology at Dekalb Medical Center. He is a former president of the Atlanta Urological Society and has served on the clinical faculty in the Department of Urology of Emory University School of Medicine. His areas of expertise include erectile dysfunction, stone disease, urinary incontinence, and prostate cancer. He is a member of the American Urological Association, National Medical Association, Georgia State Medical Association, Atlanta Medical Association, and the Atlanta Urological Society.